We are a team of missionaries that provide Catholic youth ministry. Ablaze Youth Ministers are young adults on fire in their faith with a passion for drawing youth to Christ. They foster collaboration and support with those working alongside them, truly serving one another as team members. Each Youth Minister is dedicated to serving a specific parish community, while learning valuable ministerial and professional experience from their Director of Youth Ministries at Ablaze. We believe that ministry done in community will create an environment for the minister to thrive. When the youth minister thrives, the ministry will thrive. Ablaze Missionaries are individuals called to serve the Church and participate in the original mission, “to make disciples of all nations,” entrusted by our Savior to the Apostles (Matthew 28:19). Because of this radical connection to the mission of the Church, Ablaze missionaries are dependent on raising their own salary while supporting their ministry. It is a bold step to move forward in trust and fully rely on God as a Catholic missionary, working as the apostles in the early Church. By definition, missionaries are called to depend on everyday people who believe in their mission and are committed to joining their work through financial support. Because of this, Ablaze Missionaries are each backed by a unique Support Team, enabling them to fully carry out their mission and entrust their work to God. While most members of our team come on board with previous experience and all on staff take part in our onboarding process, we truly believe that there will always be more to learn and potential to grow. The formation of the minister never ends. With this in mind, we have committed ourselves to what we consider the three most important aspects of a minister’s formation: spiritual formation, theological education and professional development. Our staff has a commitment to continual conversion and growth in holiness. When beginning their work with Ablaze, each staff member must sign a Spiritual Covenant and commit to meeting with a Spiritual Director. Individually, each staff member is expected to read and research topics/themes that are applicable to their ministries and their spiritual journeys. After these conferences, Ablaze Missionaries leave feeling supported and equipped with tools to effectively reach youth and lead them in formation. 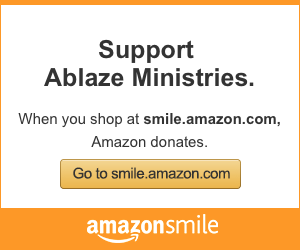 Regardless of your financial situation, you can help an entire generation feel the love of Jesus by giving to Ablaze Ministries. Every little bit you sacrifice will affect countless lives.